For most of her life, Laura Micetich’s weight made her feel like she was taking up other people’s space and that she needed to earn her place in a room by being funny. The 6-foot-tall Gold’s Gym member, 27, grew up in Tennessee with a family that loved sports and ate a healthy dinner together every night. But she had a tendency to binge on treats, and, despite swimming and playing soccer, her weight increased. She tried popular weight-loss programs — but nothing stuck. The pounds piled on as semesters passed while Laura attended the University of British Columbia in Vancouver. She hit a low point after a breakup in 2013, and cake and unhealthy frozen meals became staples. At her heaviest, she weighed about 314 pounds and suffered from joint pain, hyperthyroidism and high blood pressure. Laura began researching weight loss surgery but wanted to see if she could make a difference without going under the knife. One afternoon, she pulled up a 10-minute exercise video on her laptop. The first two minutes exhausted her. But instead of quitting, she paused the video, caught her breath and tried again. “It took me an entire afternoon,” she says. After a week, Laura could do the video in one stretch, and her progress emboldened her to check out the college gym. The moment her hands touched the weights, she says, everything changed. She made a commitment to stop worrying about what others thought. She would change her life, she decided — and not for anyone but herself. Laura focused seriously on lifting, alternating workout days targeting her chest, legs, arms and back. She did low-intensity cardio a few times a week and changed her diet, replacing sweets with clean protein and leafy greens. She learned about different bodybuilding and powerlifting techniques online and from people at the university’s gym. Before long, it hurt less to get up off the couch. Her health issues vanished. Soon she was zooming up the stairs to her third-floor classes. After graduation, Laura moved back to Tennessee. She found a club so she could keep up her workouts, but the quiet, sterile environment never felt like home. One day, she drove across town and signed up at Gold’s Gym — the coolest gym, as she thought of it after falling in love with weightlifting. Through hard work and healthy eating, Laura lost more than 100 pounds in one year. 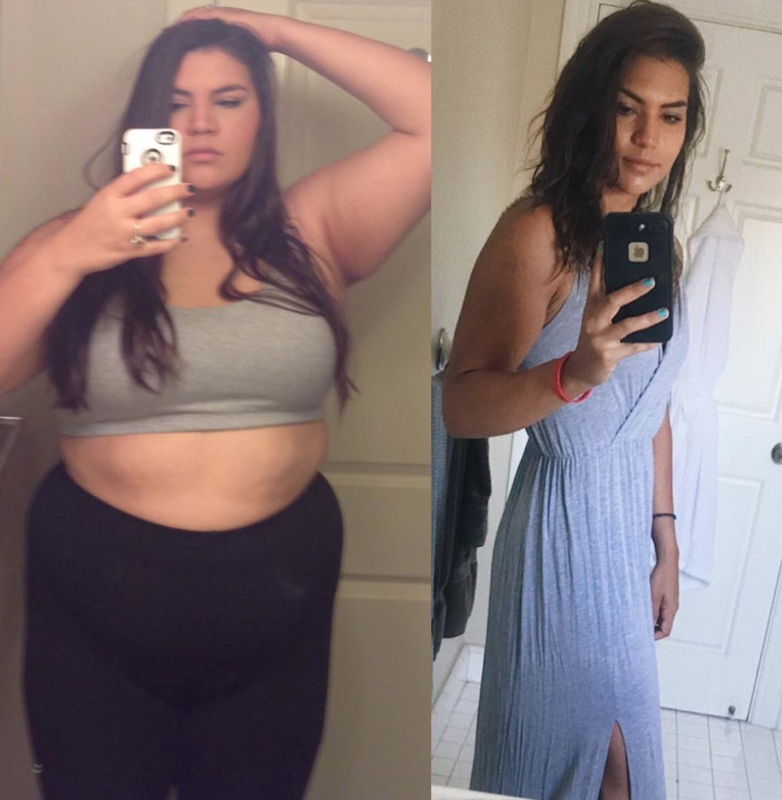 She documented her weight loss success on Instagram (The Iron Giantess), and as her before-and-after photos attracted attention, strangers started reaching out to her for advice. With her commitment to better health, Laura had learned a lot about self-love, and she wanted others to benefit the way she had. In mid-June, Laura underwent surgery to remove the loose skin that lingered after her dramatic weight loss. She detailed the process on social media and received an outpouring of support from more 330,000 followers. These days, instead of worrying about taking up other people’s space, she’s only concerned about helping others grow. In a recent post she wrote: We wake up, look in the mirror, and critique every inch of us, pulling and picking at parts of us we think need work. Sometimes we feel like we’ve failed … like we’ve thrown away weeks or even months of work. Guess what? We haven’t. Watch your self talk. Be gentle with yourself. Just start fresh. Be kind to your body. More importantly, be kind to your soul. A month after her surgery, she moved to Los Angeles and is now a full-fledged member at “The Mecca.” Home sweet home, she posted.